Humanitarian, security, and development actors are witnessing two distinct but intertwined trends that will have a dramatic impact on their operations. The first relates to the fact that the locus of global poverty and vulnerability to disaster are increasingly concentrated in fragile and conflict-affected states. The second trend is associated with the notion that the world has entered a period of unprecedented urbanization. For the first time in history, more people live inside urban centres than outside of them. As the world continues to urbanize, global emergencies will increasingly be concentrated in cities, particularly in lower income and fragile countries where the pace of urbanization is fastest. Yet, despite the growing risks facing urban populations living in fragile and conflict affected countries, there is very little understanding of what can be done to reduce the risks posed to these cities and their populations. Over the past 40 years, the urban population in lower income and fragile countries has increased by an astonishing 326 percent. Continuing population growth and urbanization are projected to add another 2.5 billion people to the world’s urban population by 2050 and nearly 90 percent of that increase will be concentrated in Asia and Africa. Some of the most fragile countries including Angola, Iraq, Sudan, and Uganda are projected to add 25 million people to their urban populations while other already overburdened countries such as Bangladesh, the Democratic Republic of Congo, and Ethiopia will each see 50 million people flood into their cities. How will these countries cope with such rapid urbanization? According to the World Bank’s list of fragile situations, these are some of the poorest, most violent, and disaster-prone countries in the world. As their populations aggregate in cities at a breakneck pace, it is plausible that the capacity of their governments to deliver services, respond to disasters, provide security, and govern will be pushed to the brink and collapse. With these growth rates projected to continue, what is certain is that the humanitarian crises of tomorrow will be more urban than rural and the urban centres of fragile and conflict affected countries are some of the most vulnerable. Yet, notwithstanding the growing risks facing urban populations living in fragile and conflict affected states, international organizations, governments and non-governmental organizations are ill-prepared to deal with this impending reality. Existing mechanisms for aid, relief, and security have traditionally been concentrated at the national level and have been limited to formal armed conflict. Today’s risks revolve around smaller, irregular armed groups and disaster-prone areas that are often beyond the purview of international aid packages or peacebuilding activities, and demand a more flexible and targeted response. 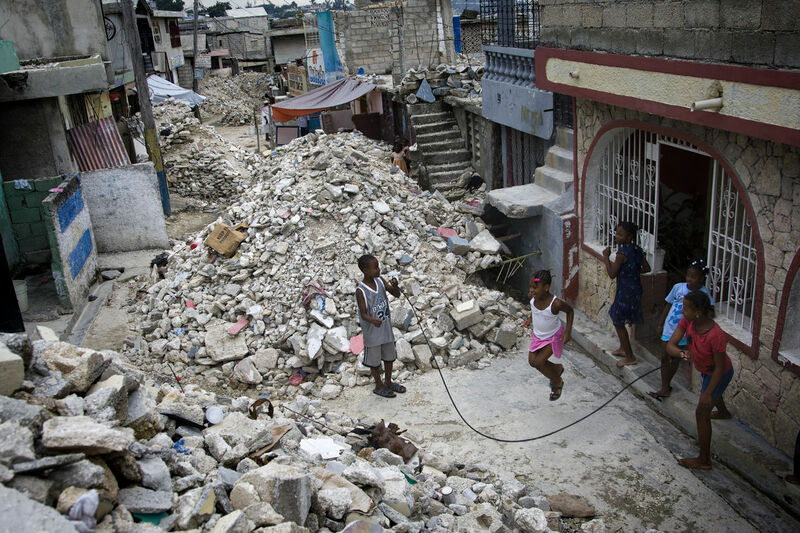 Determining how to respond effectively in densely populated environments where violence intersects with disaster and extreme poverty is no simple task. To be effective, humanitarian, peacebuilding, and development actors need to develop feasible options to reduce the vulnerability and enhance the resilience of urban populations in fragile cities most at risk to multiple and interlocking crises.